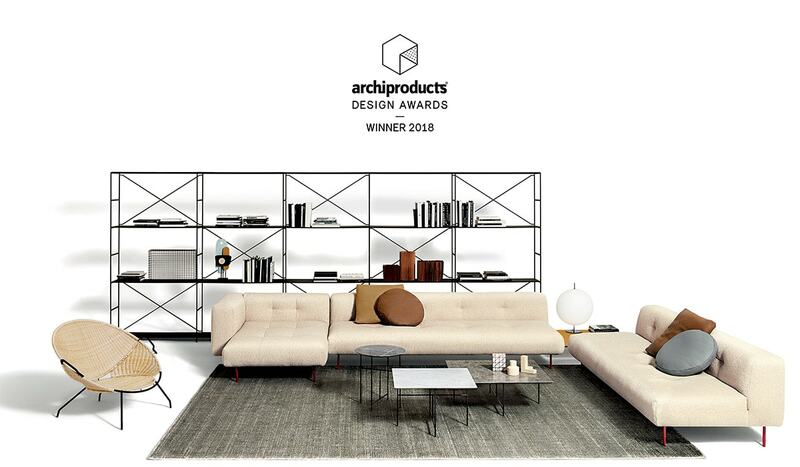 Archiproducts Design Awards 2018 edition celebrates Boffi Combine kitchen designed by Piero Lissoni in 2018 (kitchen category), De Padova Erei sofa designed by Elisa Ossino in 2018 (furniture category), R.I.G. 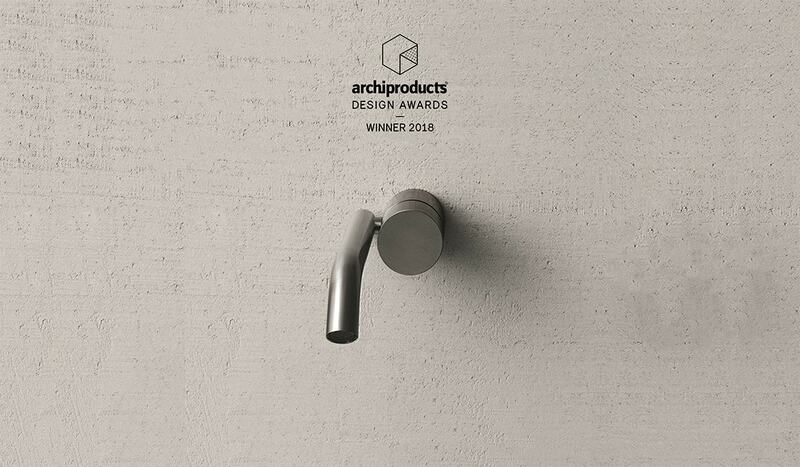 modules of MA/U Studio designed by Mikal Harrsen in 2015 (furniture category) and the AA/27 faucet of the Aboutwater collection designed by Michael Anastassiades in 2018 (category bathroom). The ADA 2018 aim to reward experimental research and innovation, but above all to emphasize the emotional and functional power of the project. Getting into its third edition, the ADA have confirmed its acknowledgement as international prestigious award. 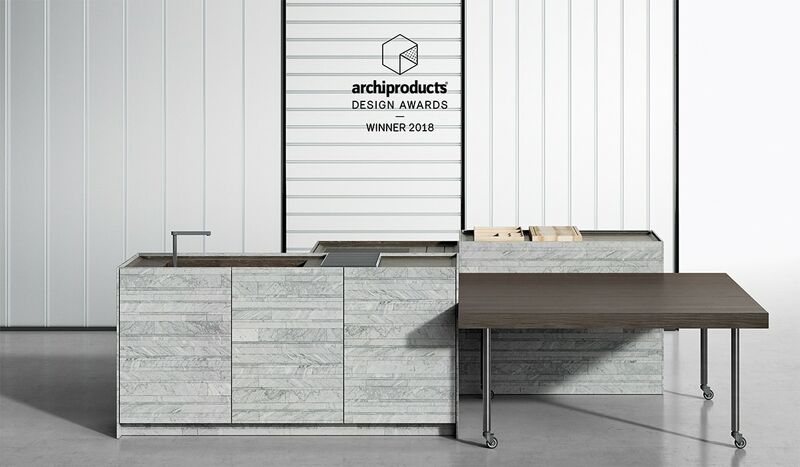 600 products submitted by 300 brands from 15 countries are selected by an international jury of 40 architecture studios among the most influential ones. The R.I.G. 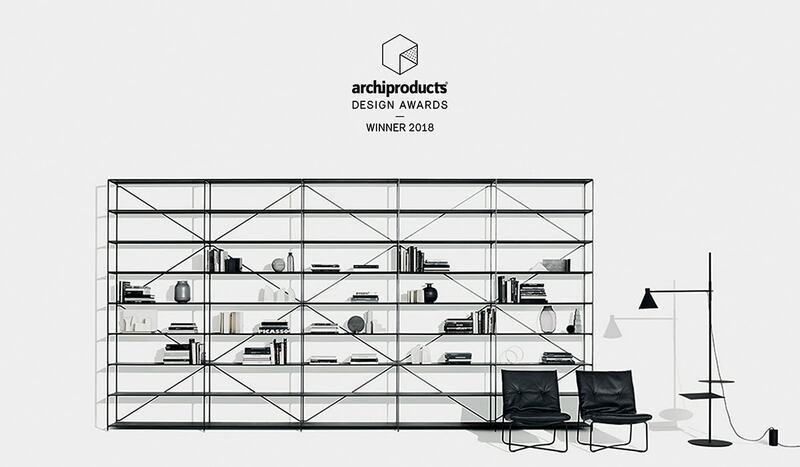 Modules shelving system is designed from the idea of joining simple principles; optimized use of materials, enhanced functionality and a minimalist expression. Only a handful of components, that connects in numerous ways, all attached by using the universal screw; “R.I.G. joint”, creates this diverse shelving system. An uncompromised choice of materials and the graphic stabilizing system ensures a stunning stability. Aboutwater is a brand co-owned by Boffi and Fantini. This partnership is based on the concept of creating a new collection of taps with a modern and elegant design, conceptually excellent with flawless production. AA/27 consists of two separate elements, the handle and the spout, combined together by a third horizontal cylindrical element.‎ The effect given by the suspended spout not touching the deck is the aesthetic and technical feature, which strikes the most of this unique project.